Below is a step by step guidelines on how to use the Nevada business search page. 1. 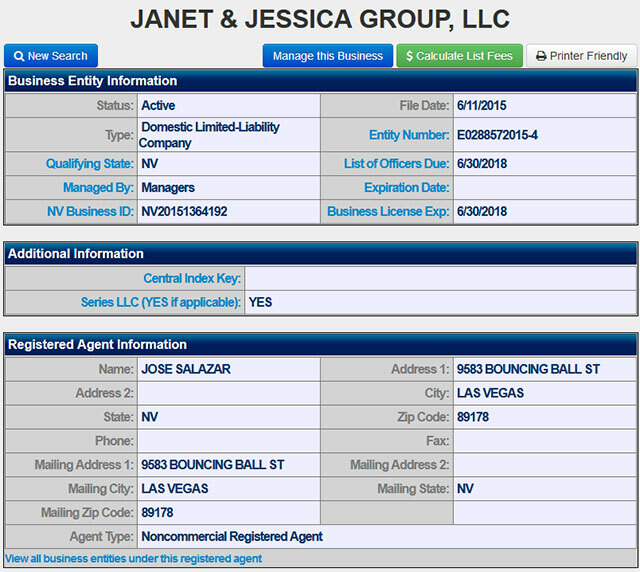 The first step is to access the Nevada business search page by clicking here. The page looks similar to the screenshot below. 2. For this example, choose the option "Entity Name" for the "Search by" drop down field. In the text field, type in the name "Janet". From there you can decide how to show the search results by selecting from the "Sort by" field and the order you want to view the results, either in descending or ascending order. You can also have the option to include phonetic matches. There is a question mark button next to the include phonetic matches, click that if you want to learn more about this option. For this example, leave these fields with the default option and click the "Search" button, as referenced in the screenshot below. 3. Click on the "Search" button and the Results Page will soon appear (as shown in the screenshot below). The results are based on relevance. 4. 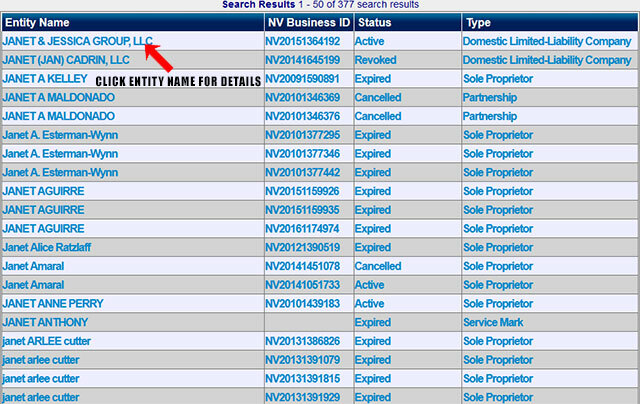 Click on an entity name to get further details for a business entity including status, type, qualifying status, entity number, etc. (see the screenshot below for reference). The Secretary of State of Nevada is one of the highest constitutional offices in the state of Nevada. 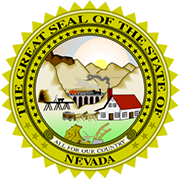 It is a statewide-elected office created by the Constitution of Nevada. The present Secretary of State of Nevada is Barbara Cegavske, a Republican who was elected in 2015. Cegavske was preceded by Ross Miller who served the office from 2007 to 2015.